4 questions you should ask about your PortfolioCenter backup plan Let us manage the data, so you can manage the money. The slow summer months are a great time to give your PortfolioCenter database a tune-up and review your back up plan. In addition to client information, your PortfolioCenter database contains years of price history, transactions, billing information, and of course performance history which can be difficult — if not impossible — to reconstruct. 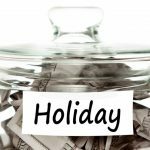 Have you reviewed your backup plan lately? Here are 4 questions you should ask as part of your review. 1. Are you backing up everything? In addition to the PortfolioCenter database itself, make sure you are backing up everything necessary to run PortfolioCenter like login information for your brokers and download sources such as Dial Data or Interactive Data, and manual entry, etc. You might also want to save an example of your quarterly reports in PDF. Presentation Studio settings are particularly annoying to recapture from scratch, especially if you’ve taken full advantage of the customization features. 2. Are you using the best backup method? 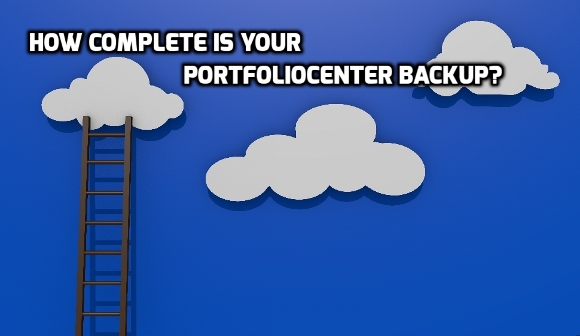 While you can manually backup PortfolioCenter and/or schedule an automated backup, you may be able to integrate backing up PortfolioCenter into your daily backup routine. If you run a nightly backup on your main computer or server, make sure the PortfolioCenter database and interface file directories are included. 3. Do you have an off-site backup? If your office burned down, would you lose your backups? It’s a good idea to store at least a monthly backup offsite. Copy everything to an external drive and take it home or use a cloud backup service. 4. Have you tested your backup recently? The best way to determine if your backup plan is complete is to test it. Assume you’ve lost everything and try running through your daily PortfolioCenter routine with your backup. Then try running your monthly and/or quarterly reports.